McTarnahans Apple-Time 30 lbs. 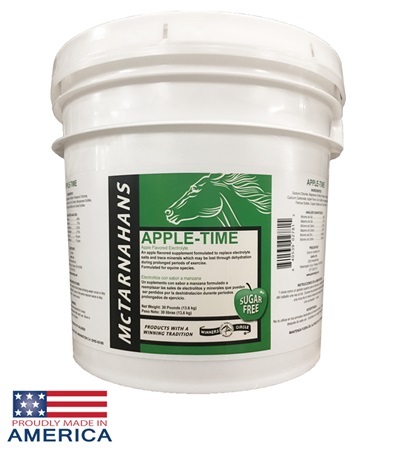 - Jacks Inc.
McTarnahans® original Apple-Time is an excellent supplement formulated to replenish electrolyte salts and trace minerals which may be lost through dehydration during prolonged periods of exercise. 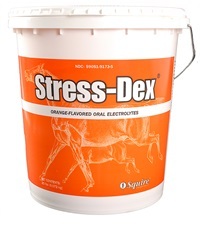 Aids in appetite and water consumption. 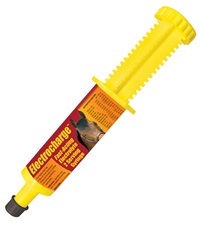 Horses love the taste! 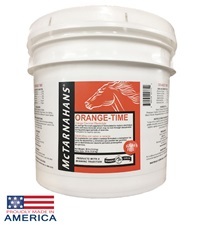 FEEDING INSTRUCTIONS: 1 oz. 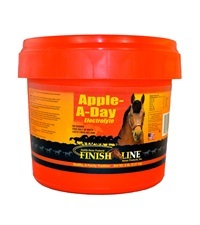 as a top dressing for the feed or added to the horse's drinking water once a day. 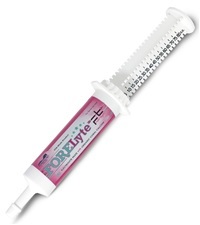 During periods of strenuous exercise, add 1 oz. in the same manner twice a day. 1 scoop = 1 volume ounce.